Coles Little Explorer nappies - five readers put them to the test! 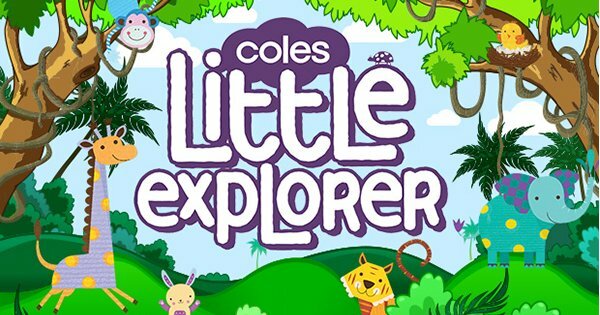 Coles Little Explorer nappies – five readers put them to the test! Last month we brought to your attention the all new Coles Little Explorer nappy range and their awesome Big Nappy Change challenge to our Babyology readers. We had five Babyologists step up to the change table, so to speak, and take on the five day challenge. We think you’ll be interested to know that the results are in from our five nappy testers. The Big Nappy Change challenge involved switching their current brand of nappy for the Coles Little Explorer nappy on their littlest people for a five day trial. Together, they put Infant, Crawler and Toddler sized Little Explorer nappies to the test, with interesting results. All our mums agreed that Little Explorer nappies are on par with their usual nappy brand of choice, with half saying that they in fact preferred the Coles brand to their current brand and would recommend the Little Explorer brand to friends. How a nappy performs is vital and we’re pleased to report performance didn’t really miss a beat during the testing. Three out of four agreed that the nappies delivered a high standard of quality when asked how the Little Explorer nappy performed compared to their current brand, with the same people saying they felt confident in using the Coles brand on their baby. That’s great peace of mind knowing you’re not going to be in for any surprise nappy dramas when out and about. Also revealed, the main features our testers felt were most important in Coles Little Explorer nappies were the Dry Tech Ultra Absorbent Core, unisex design, the three way active fit, their softness and breathability and the umbilical cord cut out (Newborn size only). One of our nappy testers, Lisa-Jayne commented ‘I loved these, so soft and fit extremely well. Thank you so much for introducing me to this product’ and Vanessa also reported back that the nappies she trialled on her daughter were ‘very soft, and I imagine, as comfortable for her as a nappy can be‘, which is great to know – soft nappies are extremely important when worn against sensitive baby skin! Absorbency is a big deciding factor in choosing nappies – after all no one likes to be dealing with leaking nappies. The Coles Little Explorer nappies stood up to the test with flying colours. All participants rated them as the same or better than their current brand. It’s safe to say all of our testers were satisfied by the outcome of the Big Nappy Change challenge and the results of trialling Coles Little Explorer nappies. We applaud our Babyology mums who were brave enough to give the Big Nappy Change challenge a go, we understand that it’s sometimes tricky to try new things with babies and we appreciate that you took the chance!